I have been running a music marketing blog and podcast for roughly five years, but over a year ago in September 2014, I started moving away from general music marketing and into a niche called music entrepreneurship. Though it is becoming a more recognized topic in the education system, it is still relatively new in the online world. What I have come to recognize – especially in the last couples of months – is that while there are a lot of amazingly talented musicians out there, very few know how to tell a story or to market themselves. Very few have the business sense and people skills to bring their career to the next level. Many musicians prefer to stick to the creative side because it’s what they know and it’s they’re good at. 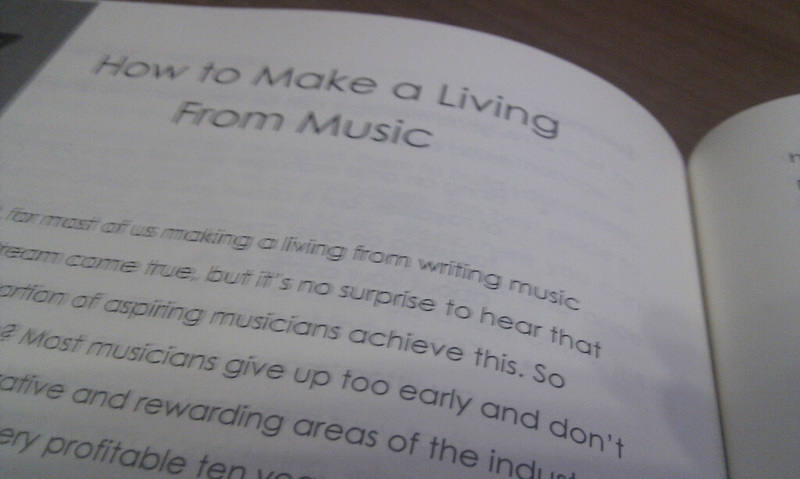 However, even if business isn’t their strength, every musician has the potential to become better at it. We live in a new age, and the only way to move beyond mere survival is to choose ourselves. With job security firmly in the past, those who hope to move beyond “just getting by” have to take matters in their own hands. Music entrepreneurship is about adapting to the new age. It’s about reclaiming the true value of music for the good of all musicians. Success in music is a combination of hard work, persistence, talent, and a bit of luck. Though many musicians invest into their education as an instrumentalist, a singer – or both – there are very few who actually choose to develop their business sense. Many musicians wait around until someone “discovers” them or offers to help them. While it is important to build connections, to put your fate entirely into someone else’s hands is to surrender your full potential. What If You Were To Develop Your Business Sense? On a scale of one to 10, how high would you rate your creative ability? Likewise, on a scale of one to 10, how high would you rate your business sense, marketing ability, or leadership skills? If there is a big difference between the two numbers, you most definitely have untapped potential. What if you became more skilled in business? What if you developed your people skills? What if you understood the inner workings of business? Even if you aren’t naturally gifted in entrepreneurship, you still have the potential to become better than you are right now. Think of the possibilities. Could you negotiate better contracts? Could you connect with more people? Could you market yourself more effectively?